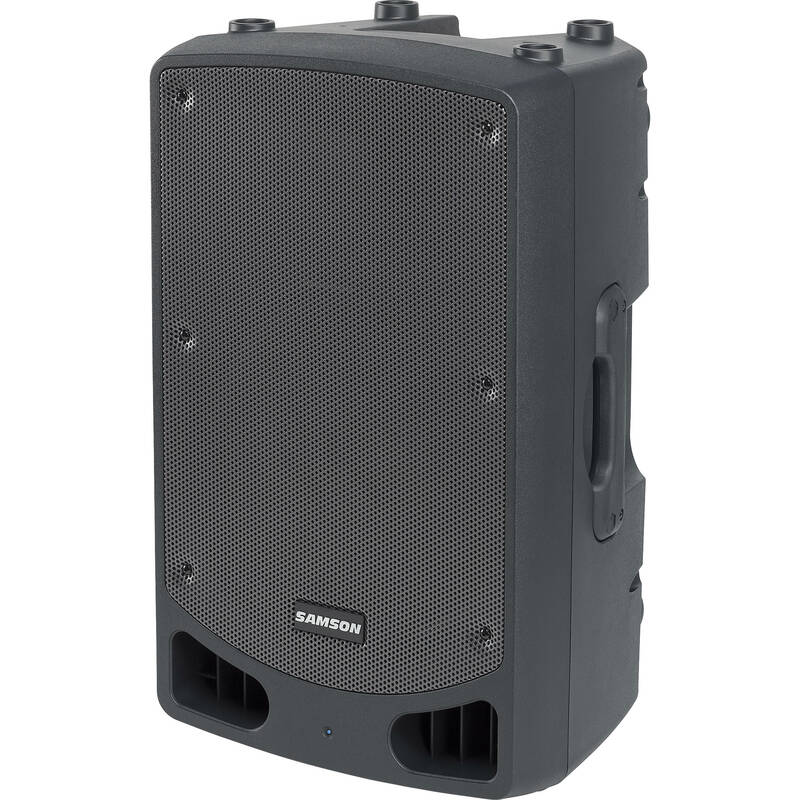 The Samson RL115A is a 15" 2-way active loudspeaker well suited for DJs, lecturers, special events, singer/songwriters, instrumentalists, and acoustic duos. The integrated 800W Class-D amplifier delivers 700W to the 15" woofer and 100W to 1" tweeter, which combine to offer a frequency response of 50 Hz to 20 kHz and a maximum SPL of 122 dB. The rear panel sports a balanced combo XLR-1/4" input for channel one with a mic/line selector switch and volume knob, while the channel 2 includes an XPD Wireless port for use with the optional Samson XPD-Series USB digital wireless systems, as well as a volume knob. Additionally, the RL115A includes a balanced XLR mix output for connecting to additional speakers and a contour EQ button, which boosts 100 Hz and 12 kHz for DJ/music playback material. The enclosure is constructed from rugged polypropylene and features a metal grille, rubber feet, three carrying handles, and an integrated 1-3/8" speaker stand mount.